Follow McMinnville Matters on social media, and remember to use #McMinnvilleMatters for a chance to be featured on one of our blogs! Hello, and welcome to the McMinnville Matters project. This is a blog to discuss planning concepts, projects, and places that matter to McMinnville, either now or in the future. The staff at the City of McMinnville Planning and Building Department started this blog to share our ideas with you and to give you an opportunity to share your ideas with us. This blog will focus on places, buildings, neighborhoods, streets, and plans that matter in McMinnville. and the stories embedded in them that matter to you. We invite you to take a picture of yourself in front of your favorite historic place in McMinnville and send it to us with a story of why it matters to you. We will then post this on our blog and share your story and place with the rest of the community. that we are exploring, projects that we are working on, and opportunities that we see in McMinnville. We want you to learn more about what we do and how you can participate, influence, and collaborate in the outcomes. Planning is all about how we live and interact with the environment around us - the buildings, neighborhoods, streets, and places that matter to those in the community and beyond. It is about how things are built today and the enduring value that they have for future generations. 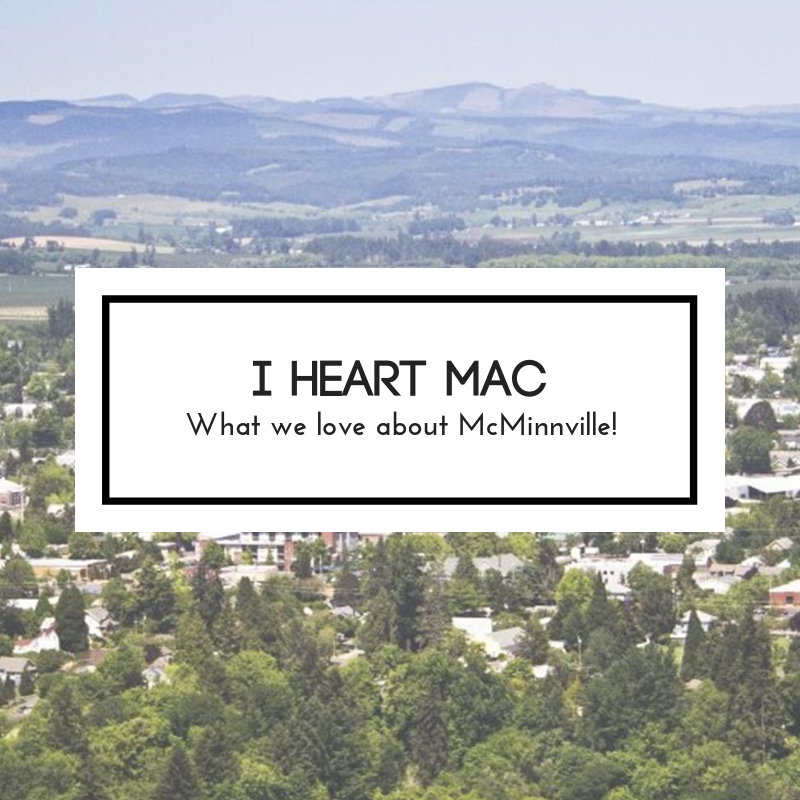 We invite you to share your passion for this town by participating in the collective discussion of what makes this community great, and what opportunities you see for McMinnville's future. Read the blogs. Follow us on social media. Send us your stories and musings (use the contact link). Tag us on social media with #McMinnvilleMatters. Let's start a community dialogue! Connecting community to government and showing appreciation for the great town of McMinnville, Oregon.